A little while back, we had a chance to see what RAYS’ Volk Racing line-up is all about, and also where it’s going, using some popular wheels as examples. 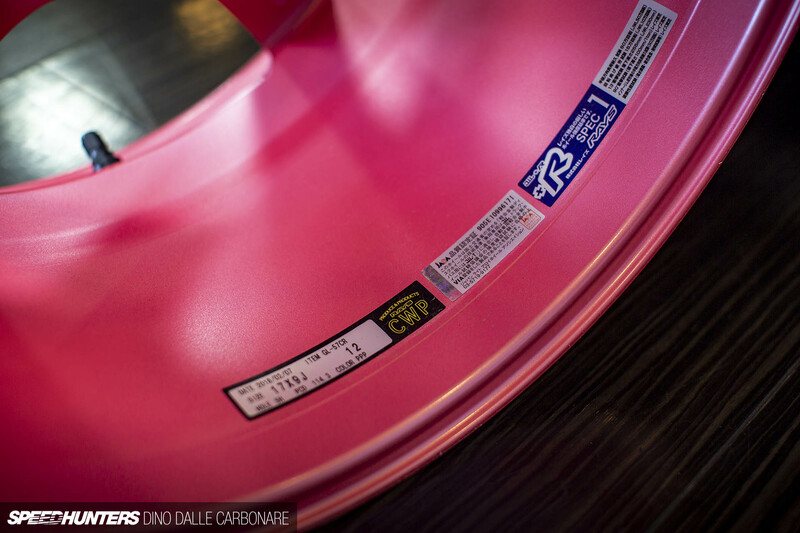 But while at the company’s HQ in Osaka, we also explored one of RAYS’ other well known wheel brands: Gram Lights. 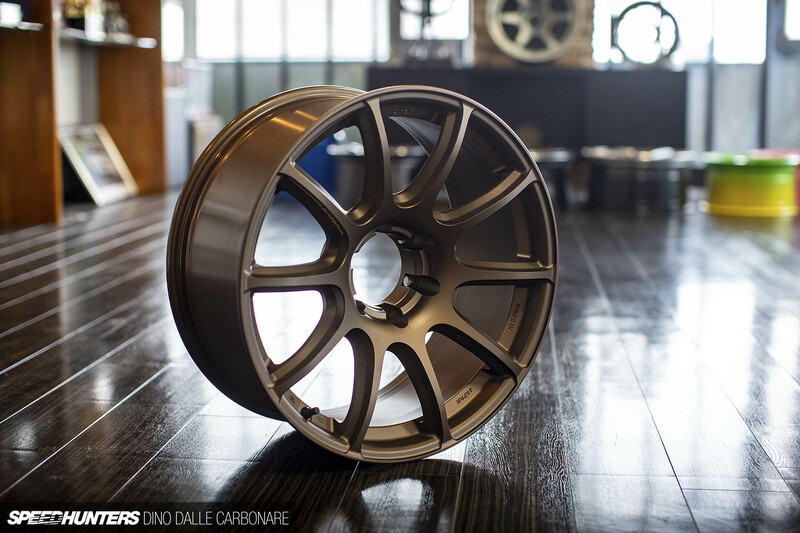 RAYS may be synonymous with iconic forged wheels like the Volk Racing TE37 and CE28, but alongside their forging processes they’ve been pushing and evolving cast wheel production to new heights. 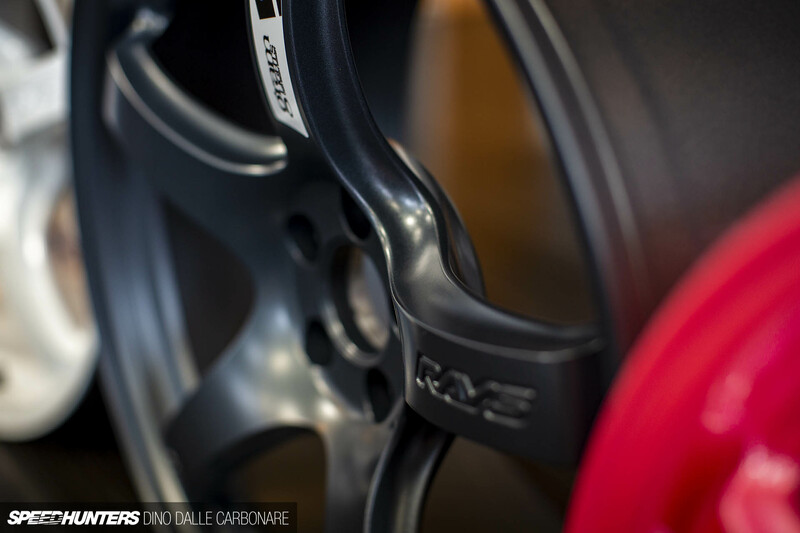 In fact, there’s been so much advancement in this area that RAYS has patents for new processes for machining and painting to help differentiate their wheels from competition, but also to make it as hard as possible for their creations to be copied. So while Volk Racing is all about performance, Gram Lights – which debuted in 2001 – allows RAYS to follow trends and push design with cutting-edge production methods and colorful finishes. The number 57, which is used on every wheel in the Gram Lights range, is a nod back to the 1970s when RAYS first became involved in motorsports. Their cars always wore the number 57. There were a few pictures of these cars on the walls of the meeting room we were in, and I just had to take them off and grab some shots. I don’t know what was cooler, the little Sunny or the Supra at Yatabe. 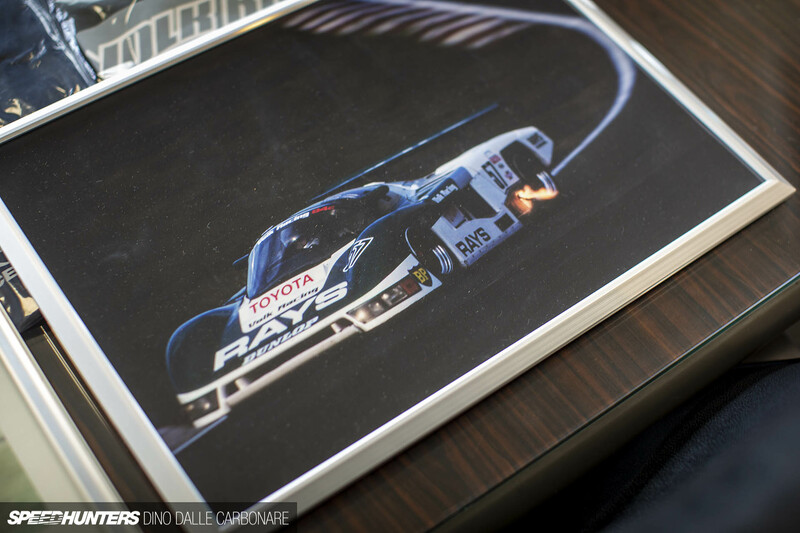 The 57 was even used on the Toyota 84C which raced in the 1985 WEC Japan race, as well as subsequent race cars that RAYS supported. 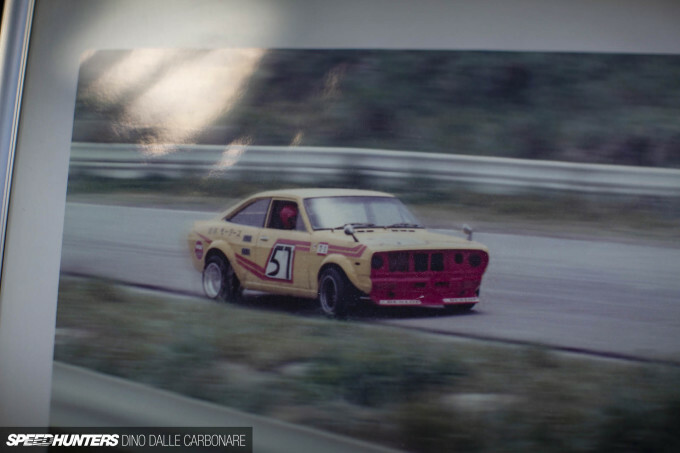 57 has become a way to identify the progression from grassroots all the way to the highest tier of motorsports, and as a parallel the way RAYS has used racing to improve and evolve their cast and forged wheels. After the quick history lesson, we were given an insight into the various new machining techniques used today to set Gram Lights apart from other cast wheels on the market. The Azure 57ANA perfectly demonstrates how RAYS’ own ‘Hybrid Machining’ allows them to create complicated three-dimensional surfaces. 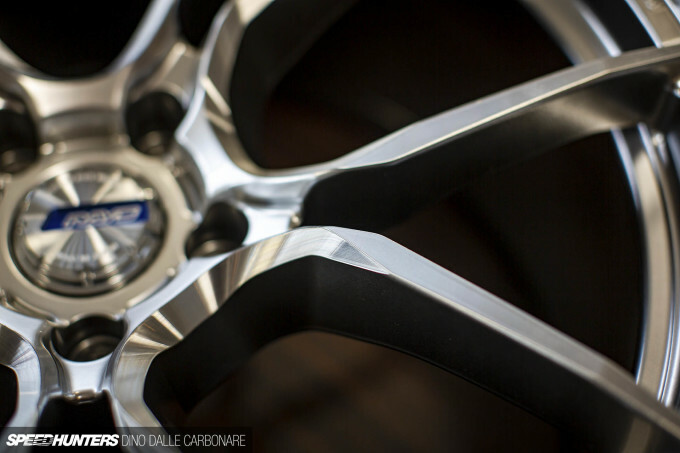 The result is a sharper look, from around the hub where the spokes originate all the way up to where they meet the rim. The faceted surfacing added at different angles, as well as profiled spoke edges that fade upwards and taper in, combine to create something pretty unique. It’s also much harder for the wheel to be replicated. These cut-outs show the different surfaces that get machined. 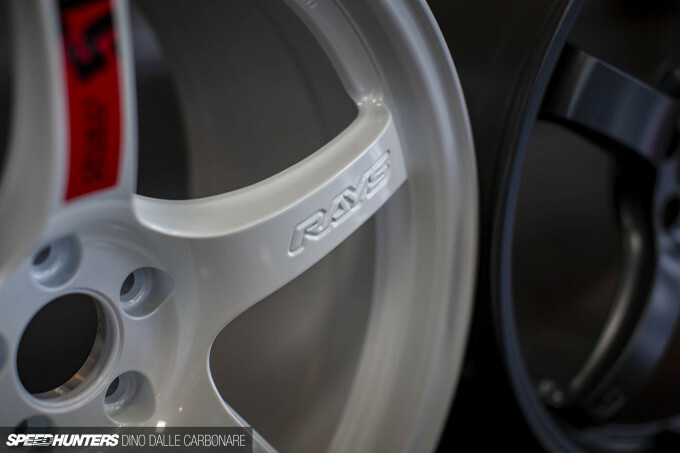 Back in the day, a simple sticker or a painted-on logo sufficed for branding, but with so much counterfeiting going on in the wheel market, RAYS has even come up with its own unique way of branding their wheels. 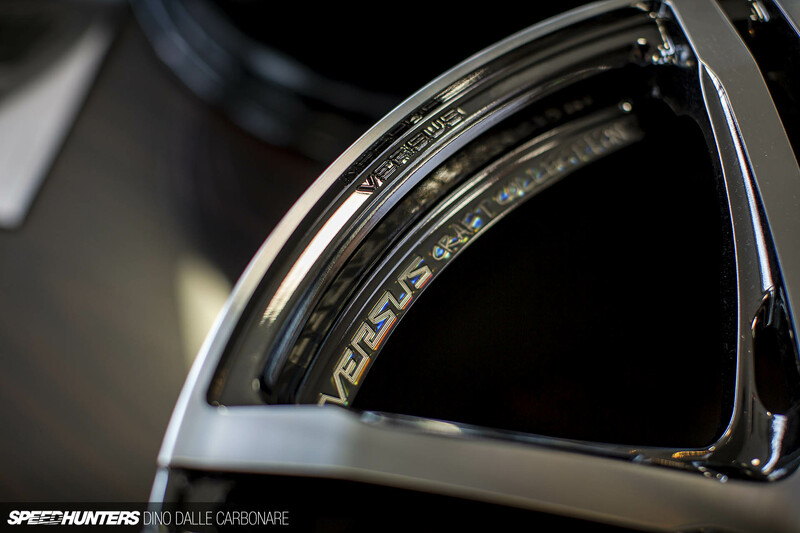 AMT, or Advanced Machining Technology, is a patented technology that allows RAYS to cut intricate designs into their rims, from brand names all the way to highlight lines that will then get painted. 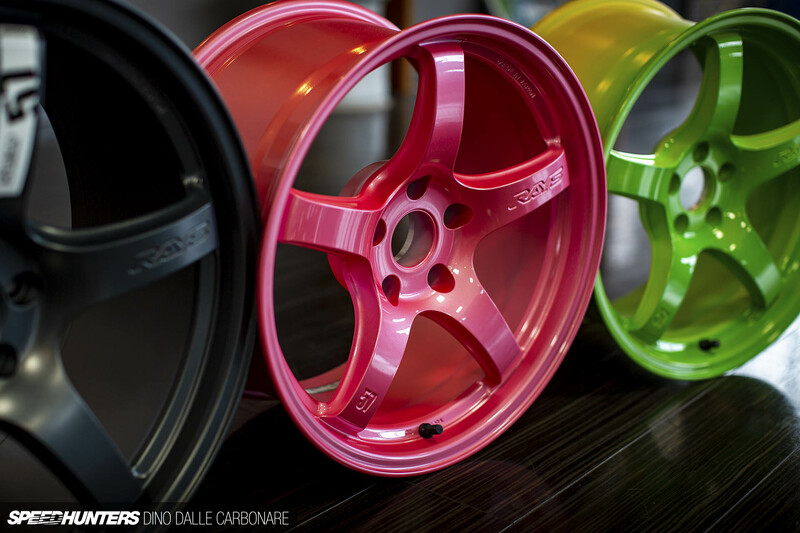 This excellent example from RAYS’ Versus catalog shows up a rainbow-like finish once the wheel is given its clear-coat. At the high end of the Gram Lights range are models like the 57ANA, the 57BNA and the 57CNA (from left to right), which are aimed at premium cars and work well with domestics and imports alike. 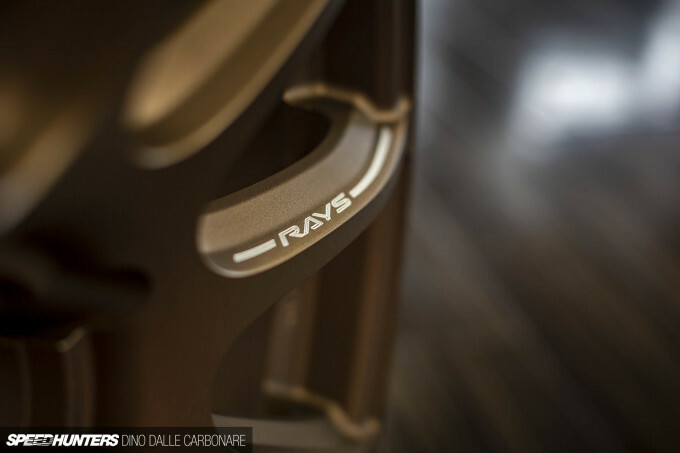 They employ all of RAYS’ advanced machining solutions to give an almost forged look and feel to what at its core is still a cast rim. When we hear the Gram Lights name though, it conjures up images of slammed Japanese cars from the ’90s riding on colorful and sporty-looking wheel designs. Much like the 57CR, seen here in Sakura Pink (PPP) and green (sample prototype). These are possibly the most extreme colors that were ever offered on this model. 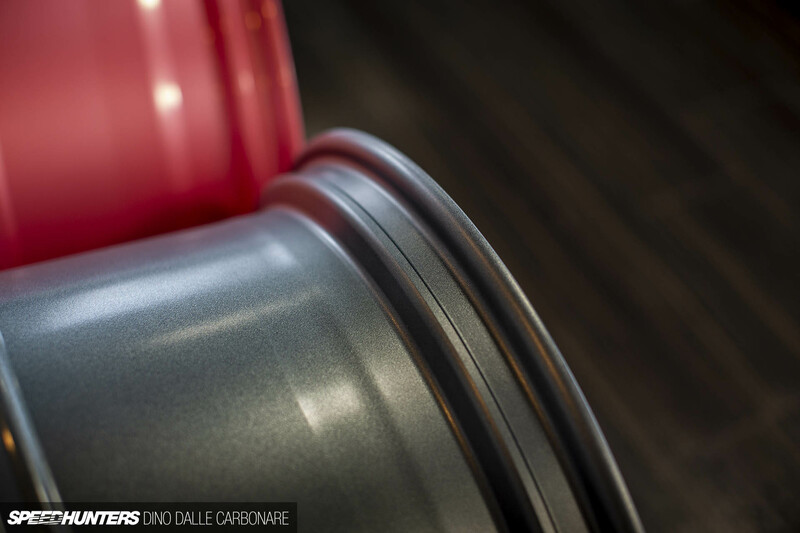 The conventional concave five-spoke design lends itself well to a multitude of car types – Japanese, German or even American, and regardless of whether they’re built for grip, drift of simple daily street driving. 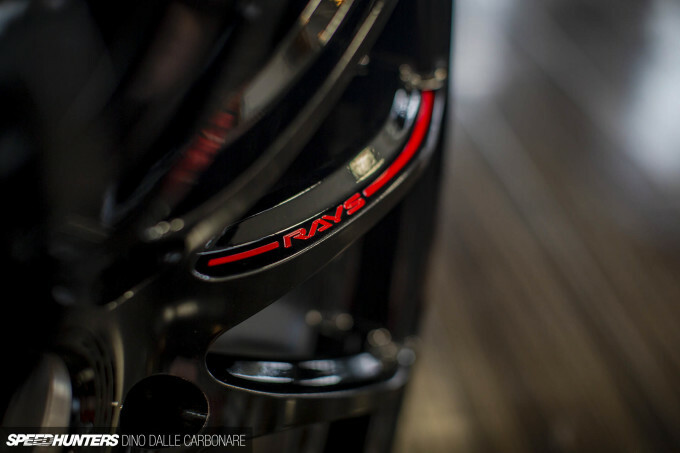 As with all their wheels, RAYS ensures that their logos are either embossed, forged or machined into the alloy – again all in attempt to curb companies that can’t come up with original designs and resort to straight out copying. 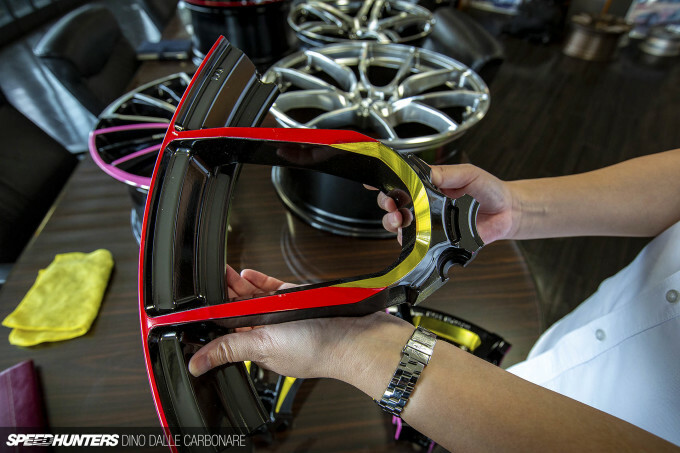 On top of that there are a selection of colored stickers that can be added to the 57CRs (and 57DR) for extra color-coordination with specific details of your car. It’s a very cool addition that gives a fresh feel; or you could always go without and keep it simple. Depending on size and offset, the 57CRs is available with two distinct depths of concaveness, handy when you need to accommodate a large brake setup. 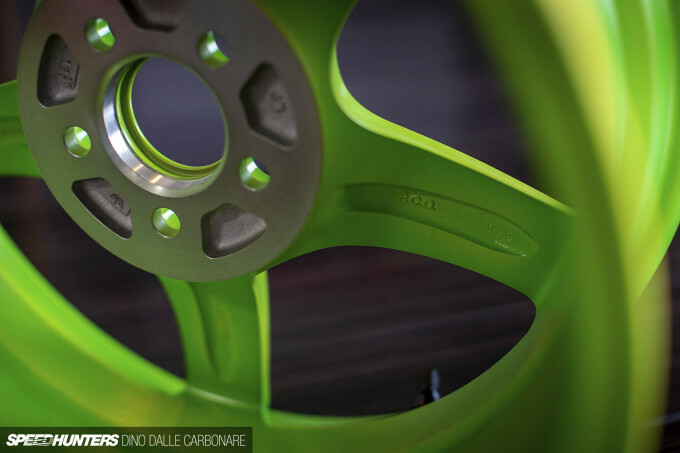 The spoke profile has a deep inset curved section that brings a new dimension to the simple five-spoke layout. It’s slightly harder to see on the Glossy Black (GX) variant. Talking to Wakana-san of RAYS, I was surprised to hear that those that make counterfeit versions of these wheels even go to the trouble of ensuring their molds have the same sizing, production and casing marks, as well as the stickers that they place on the finished rims once they are painted, inspected and ready to be boxed. That’s where any similarities end though; there’s a very big quality difference between a genuine RAYS wheel and a knock-off. 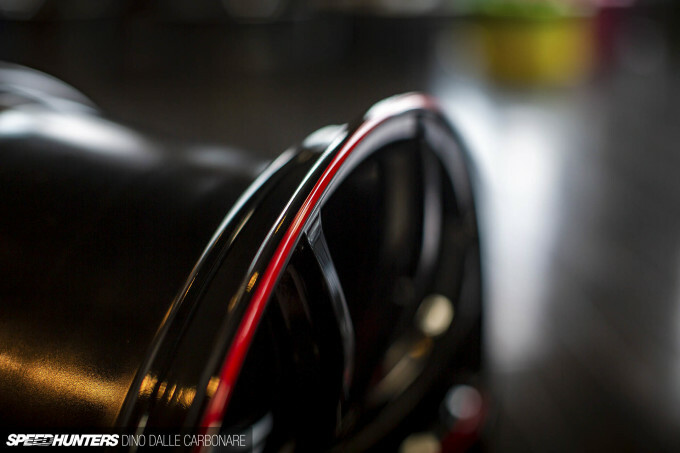 Here’s a look at the rim profile, which you can compare to the various Volk Racing offerings we looked at back in September. 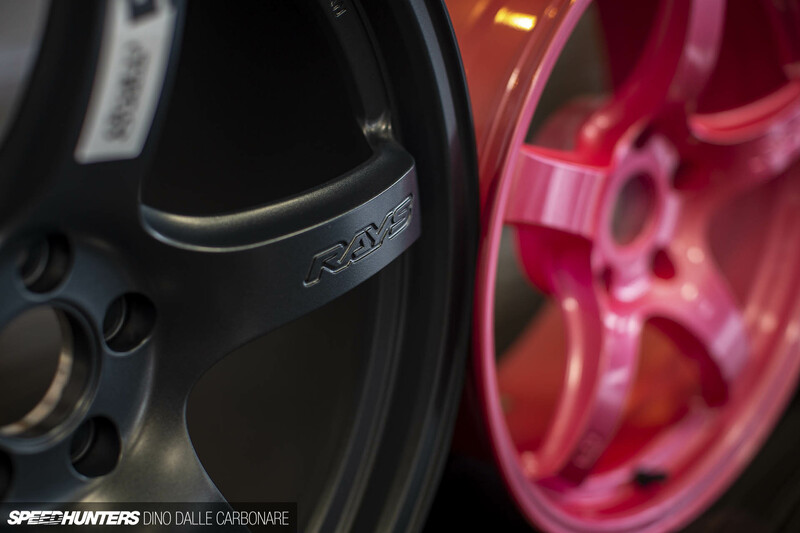 The final couple of wheels we looked at showcased RAYS’ new E-pro coat coloring method. 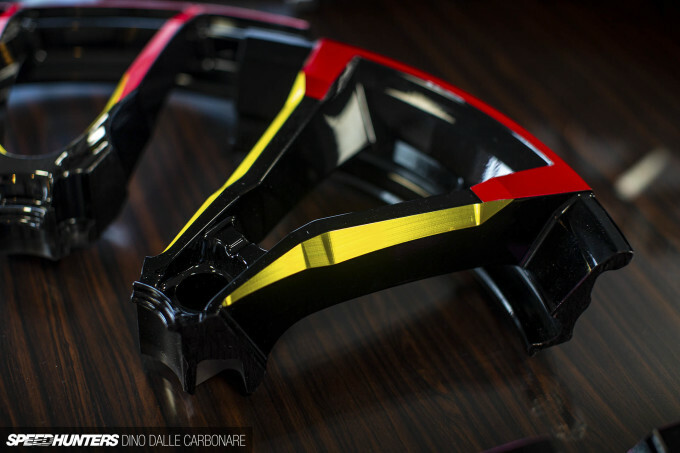 This delivers a high quality and resistant layer of color into the grooves cut by the AMT machining process. 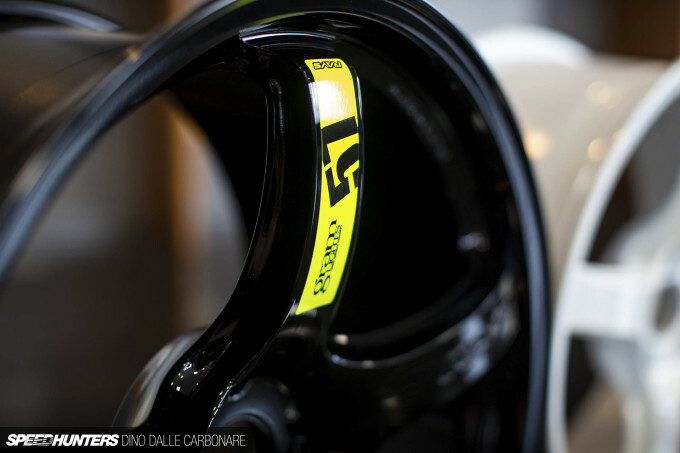 It’s done for either highlight lines, as shown by the off-road-oriented Gram Lights 57Trans-X Rev Limit Edition wheel. And of course the RAYS logo on one of the spokes’ side wall, seen here on the bronze ‘Overseas Model’ of the same wheel. 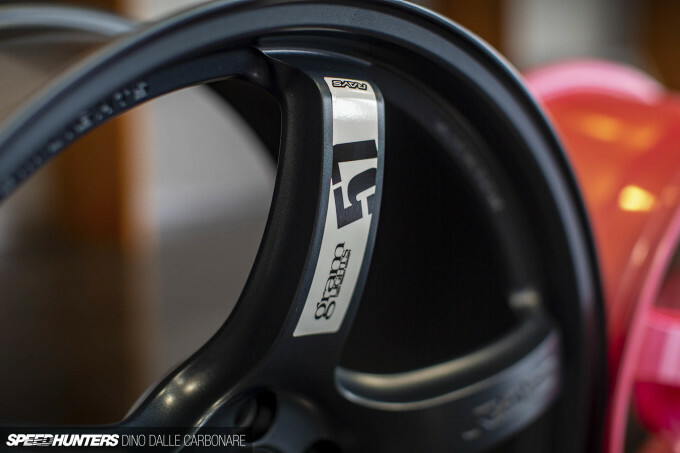 Just like Volk Racing, Gram Lights encompasses a continually evolving series of wheels, pushed forward by design, advanced production methods and innovation. In the next and final part of our visit to RAYS, we’ll delve into the wheel maker’s history, including a look at some cool old school wheels I’m sure everyone would love to make a come back. 6:15 amJanuary 25, 2019 etoomey2 . I likes those in white! How is this "technology" any different than using a 5 or 4 axis machine and a small end mill? 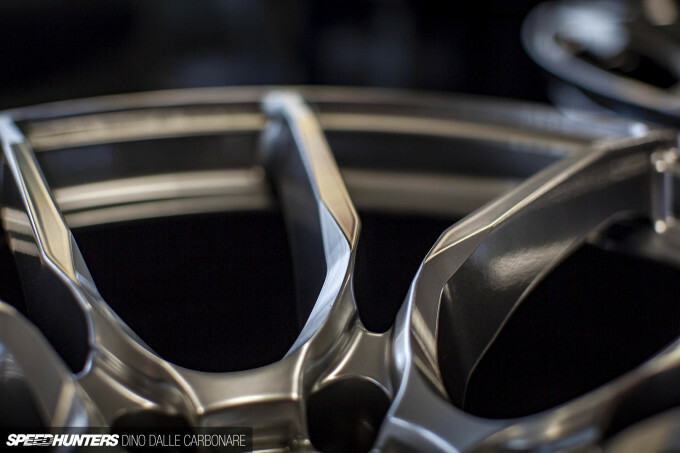 Also do they call it hybrid machining because the wheel is cast and then machined? what makes it 'hybrid'? It's probably just a patent on a specialised variant of a cnc 3/4axis mill with a rotating table just for machining wheels and engraving them. 8:58 amJanuary 25, 2019 Basith P.
You're are such a fanboy Dino. I love it. Bring on the old school wheels!!!! Die hard 57DR fan here! Loved my Gun Blue 57DR's! 11:56 pmJanuary 25, 2019 Dante R.
I would – respectfully – disagree. In the end, it comes down to priorities, budget, expected road conditions, etc, doesn't it? 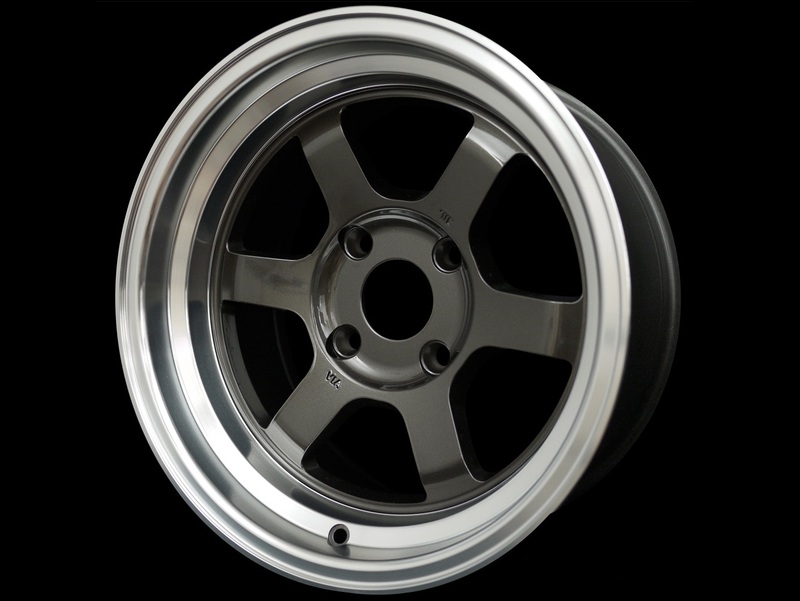 With Rays prices being what they are in the UK, I could have spent c.£1800-2000 on a set of wheels. However, I chose to spend that money on set of good coilovers (Meister Rs, which I can heartily recommend), a decent exhaust, alignment, underseal, some cylinder head work, a set of Rota Grid Vs, and very good tyres. All for just about the same money. Would I like a set of expensive wheels? Yes, of course. Can I justify them versus a set of cheaper but rugged and decent looking wheels? No, absolutely not. The benefits gained from much more expensive wheels are not – for me – worth the extra money at this stage. Certainly not when I also have house repairs and other expenses to contend with! 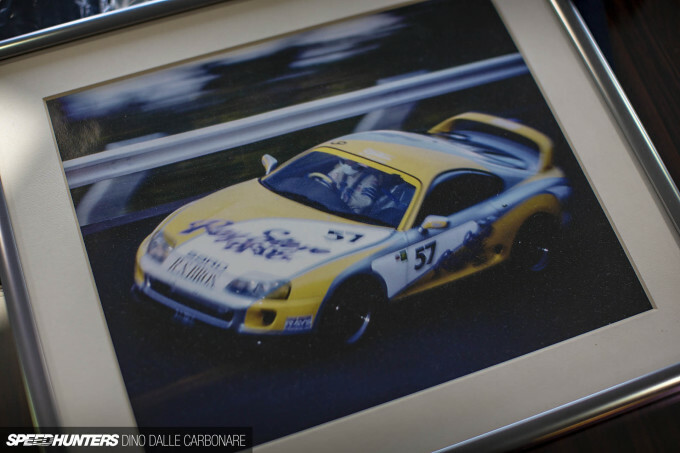 Of course, I've had this discussion on Speedhunters before, and said almost exactly the same things. 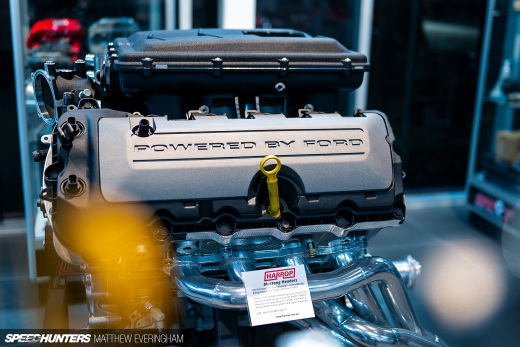 It's important to bear in mind that everyone has different priorities when it comes to their cars, and not everyone considers the cost of a set of TE37Vs or Equip 03s (which I would love to have) 'reasonable'. It's a fair point, Malcolm, and you've made it well. However, your Grid Vs wouldn't exist if it wasn't for the TE37-V. 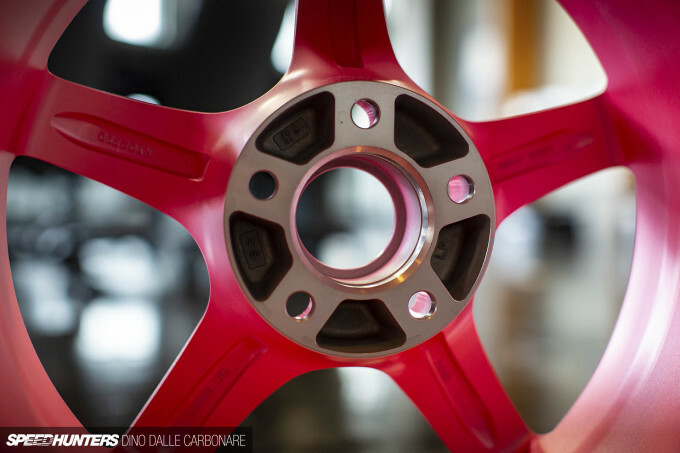 There are lots of companies out there making affordable and original design cast wheels if you can't afford RAYS or BBS etc. I just think people should think long and hard before handing their money over to companies which are profiteering on the work of others. 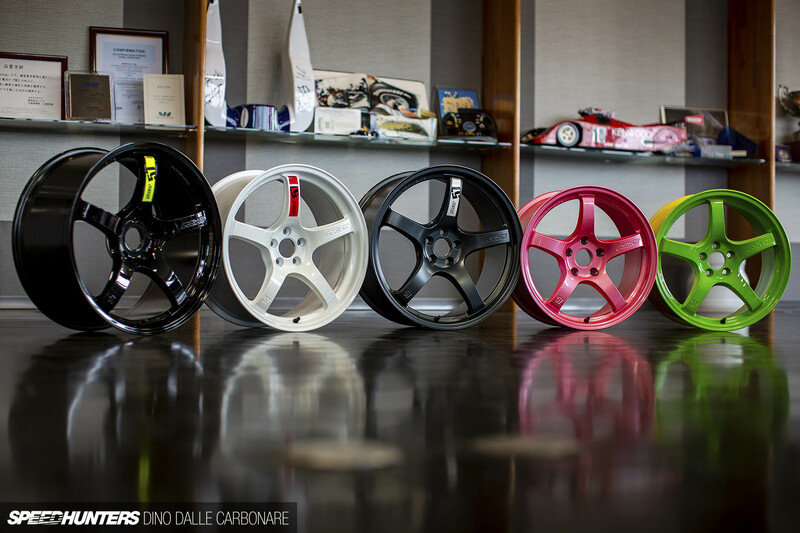 so you could say the same for most of rotiforms wheel line up, most of the designs wouldn't exist if it wasn't for other wheel companies coming up with designs first? 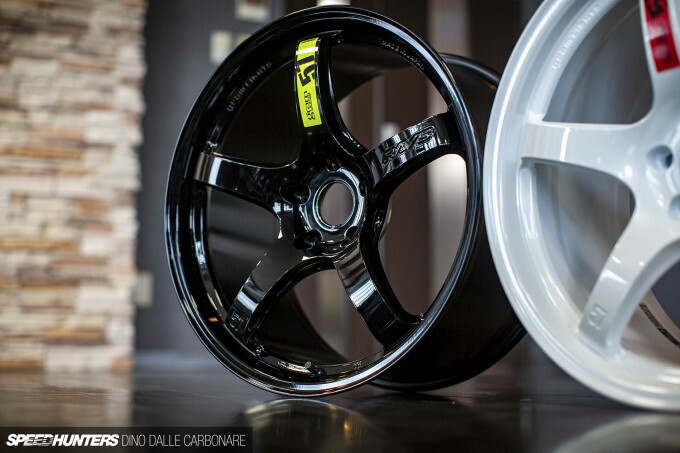 does this make rotiform profiteering from the work of others? are rotiform making fakes as you call it like Rota do? its just rubbish sorry not all of us can afford 3k wheels and have multiple sets of them like some people. 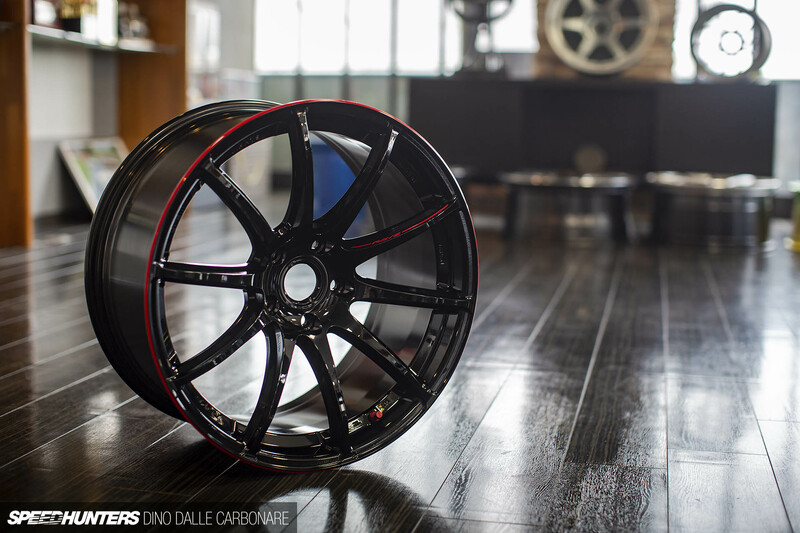 There's a - huge - difference from being inspired by a wheel and creating an homage of it in completely custom fitments otherwise not available, to outright copying it. You must see the difference there? As below, and because I feel like I didn't made my point above quite as well as I should have, I'm not shitting on affordable wheels at all, as I absolutely see and understand that they have a place in the world. I just think people should give their money to companies who are coming up with their own designs and not outright copying the work of others. The likes of Apex, 7-Twenty, 3SDM, Fifteen52 etc. 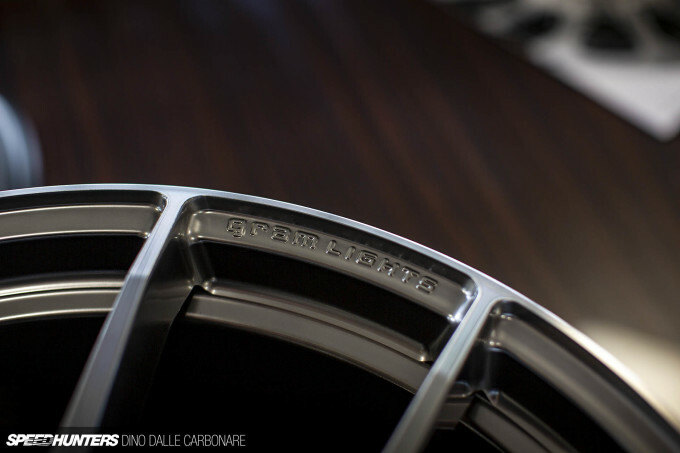 all offer affordable designs as do Rotiform in their cast series too, along with, whom this story is actually about; Gram Lights. People on a budget still have options. I get what you are saying paddy but lots of rotiforms wheels and other wheels made by the likes apex 7, are just blatant copies of bbs ect, they are not a homage, they are a direct copy, surely you must see that? but thats fine with you just rota cant do it. yes people on a budget have options, but what if you love TE37s and would love set but cannot afford to pay 3k for a set, what options are you left with? by a set that are very similar from whoever it may be for a 5th of the price. I dont see why thats a issue. If you can't afford new TE37s, you could always pick them up used. Otherwise, you just have to save for longer until you can afford them. If I can't afford an M3, I'm not going to go out, buy a 316 and put M3 badges on it. and yes i could save up longer for rays wheels but it would take me years and years with a young family and i dont want to wait that long(not all of us are well paid with affiliations to Rays) and even then i would no doubt rather put the money towards my sons education or a holiday. i can get all of the looks for a faction of the price with a slight weight penalty, which is win win in my book, whats not to like? 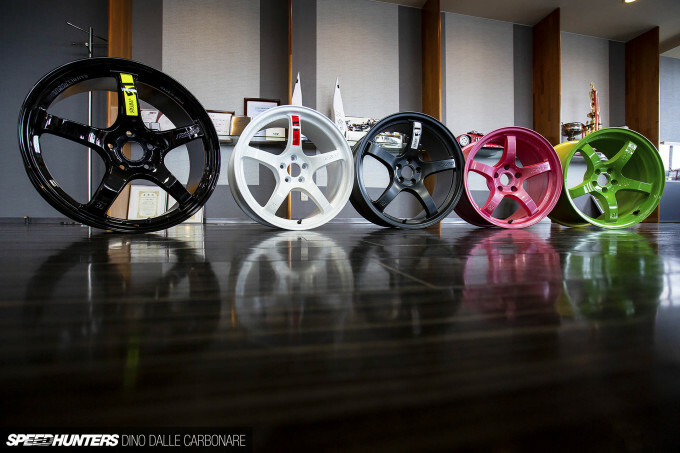 it seems like you blinded by your hatred for rota and cant see that lots of wheel companies like Rotiform make direct copies of other wheel designs FACT. Rota dont put rays badges on there wheels so how does you point about putting a m3 badge on a 316i have any bearing on this discussion. I've learned over the years that anyone whom tries to pass off their opinion or conjecture as 'FACT' isn't worth debating with. But they're - not - identical and you can tell them apart quite easily. 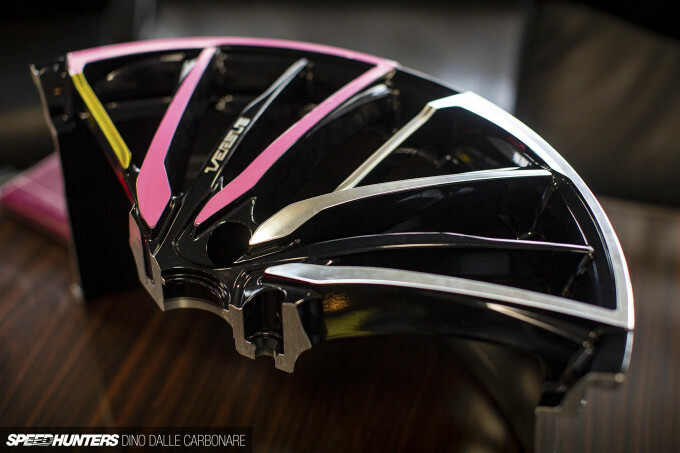 Spoke concavity, spoke profile and the centres in particular are completely different. I'm not saying that to be difficult, there is E88 influence in the LSR, no denying it, but they're not the 'same' by any means. Those differences, regardless of how subtle they are, are enough for me. That's not to forget the insane amount of original designs that Rotiform create. However, which one of these is a TE37-V and which one is a Grid-V? How many original designs do Rota create? I agree rotiform make lots of original designs and I'm not knocking there wheels copy's or original I have no issue with it, but you can't deny many of there wheels are a copy of other wheels regardless of subtle differences they are a copy, there are other examples they make which are near identical copy's of other wheels there fairly easy to spot on there website . I openly admit I couldn't tell the difference between the rays and rotas but that's a good thing for me isn't that the point of a copy. The discussion is not about how many original designs rota makes is it? 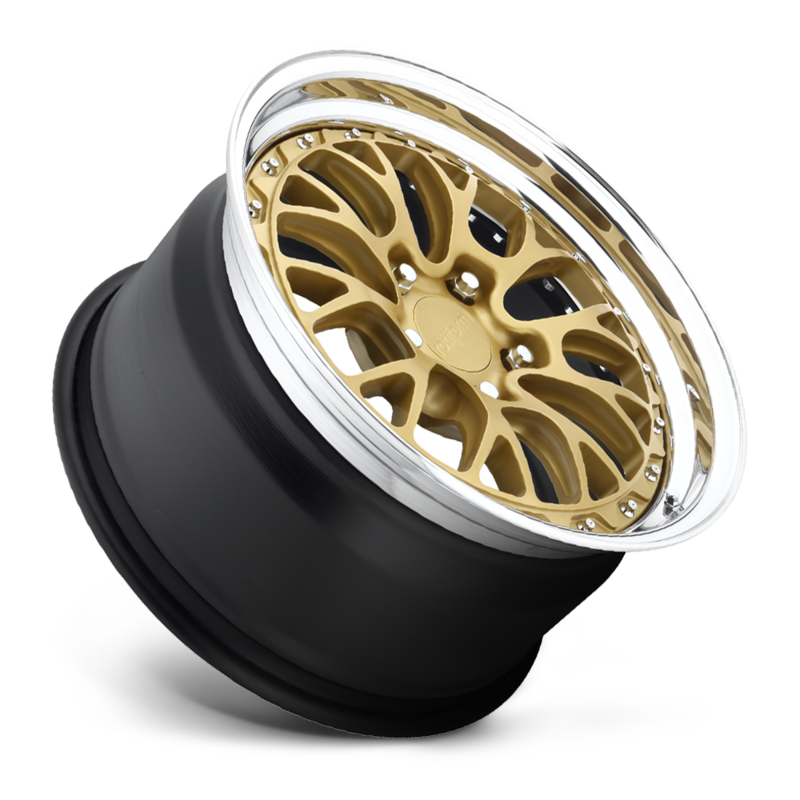 The discussion is that companies like rotiform and other companies make copies of other wheels and there deemed acceptable but rota is not, I don't see how or why you would sit there and deny it. We both view things differently but I believe there's a huge difference between something which is either inspired by or an homage, versus something which is an outright copy with no attempt to change anything. You've said it yourself above that some designs are 'near' or 'almost' identical, where the Rota - is - identical. That's the difference. I think quality of materials also come into play, and you can't dismiss the rest of a company's catalog as it's a huge indicator of the type of company they are. 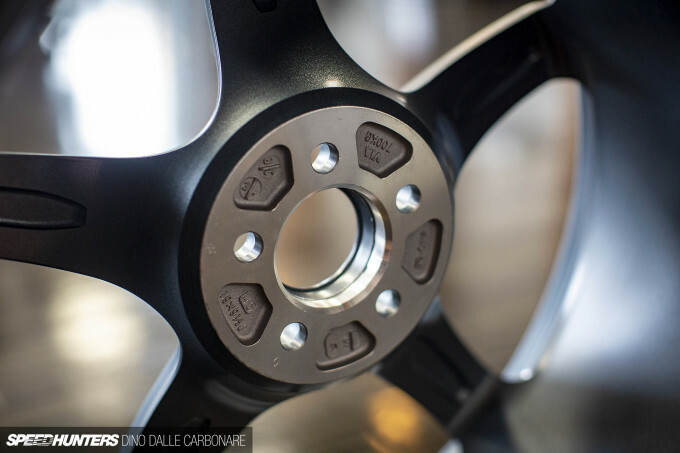 Rotiform do have some wheels which are inspired by others and which they've put their own twist on, but there's unarguably a creative force behind them to make new and original things all of the time. Rota on the other hand have created an entire business around completely and wholly ripping off other companies' products, with no attempt to make something original. They're so far apart, they shouldn't even be compared. It seems like we do see things differently but that's part of life suppose. I get what your saying about rota and there business model is not exactly the most moral or ethical as they do just copy and don't innovate but they still serve a purpose and shouldn't be dismissed, as it affords many people to get the style of wheel they want at a fraction of the cost, which to a lot of people is a big factor regardless of the ethics behind the business. And I'm not bashing rotiform (they seem like a quality outfit) or any other wheel manufacture that copy's wheel0design from the original desinger. That justs what pretty much all wheel company's do bar a select few. 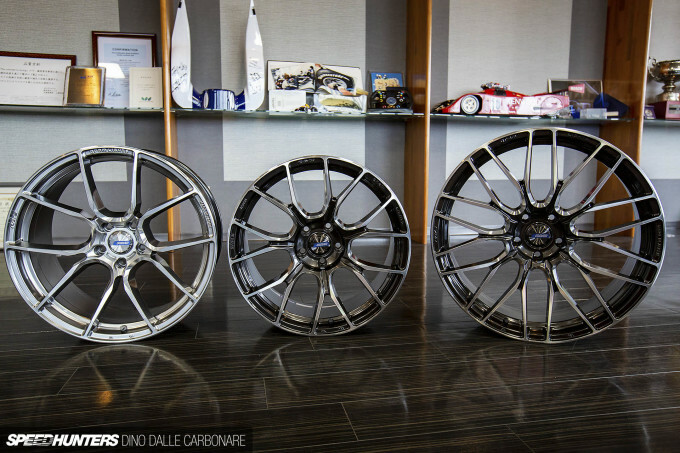 I mean how many company's make wheels almost identical to the bbs range. Paddy, thanks very much for your response. Absolutely, I could not agree more with what you are saying. For preference, I would love to have the genuine article. It's like when I had to buy a replacement charger for my (increasingly elderly) Macbook recently: one provided by the manufacturer, or an off-brand one that costs one third of the price? There's no doubt about what I would prefer to buy, but there's also the reality of what was affordable at the time. So, I don't dispute the assertion that – all other things being equal – original wheels from top manufacturers (Rays, Work, etc.) are the way that almost all of us would prefer to go. In many ways, though, these are aspirational products that many of us have to build up to slowly, products that necessitate the interim purchase of lower priced semi-equivalents. 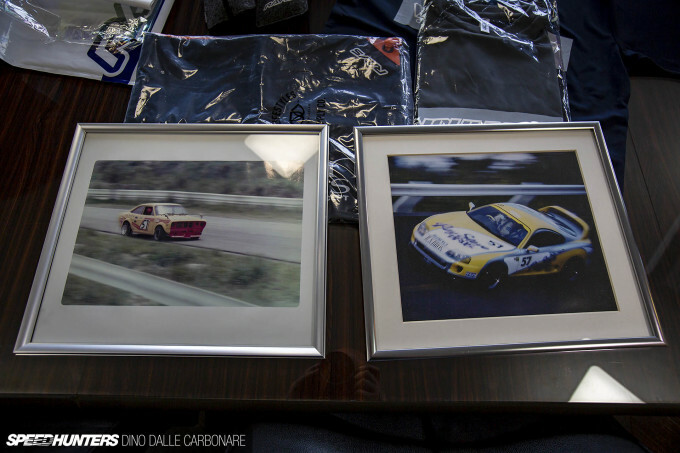 Just to clarify my point; I think there are companies out there who make their own original designs, and at an affordable price, who might be more deserving of your money than the likes of Rota. There is a big difference between knock-off wheels and rep wheels imo. Rota is a brand name in itself and you know what you're getting when you buy them. They come in their own sizing and have their own stickers. The issue with knock-off (fake) wheels is that they're actively trying to deceive you and sell you something of questionable quality. Never knew the meaning of the 57 before! 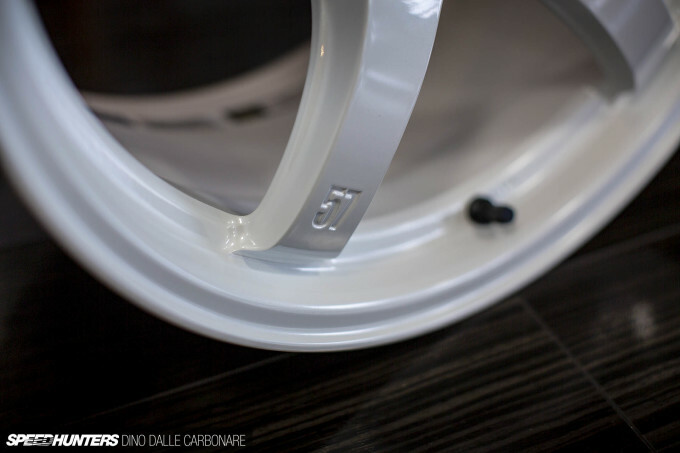 I have a set of 57DR on my Evo and they look very very tough! 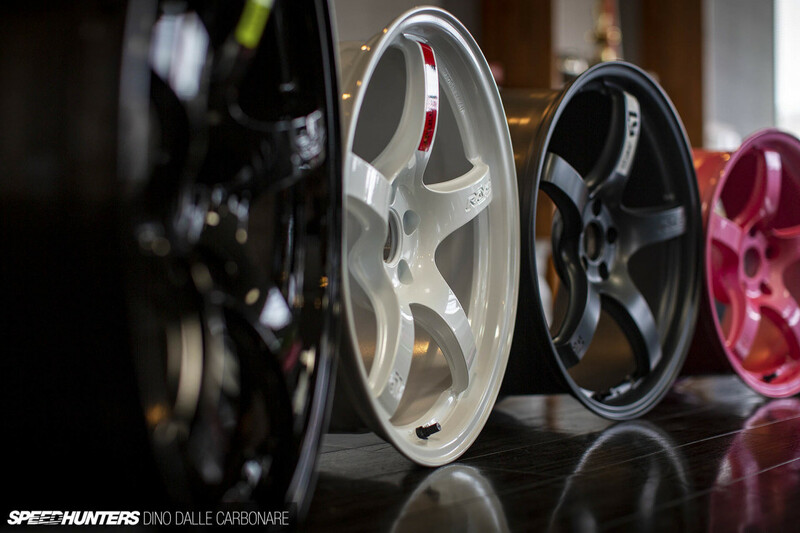 They're such a nice wheel. 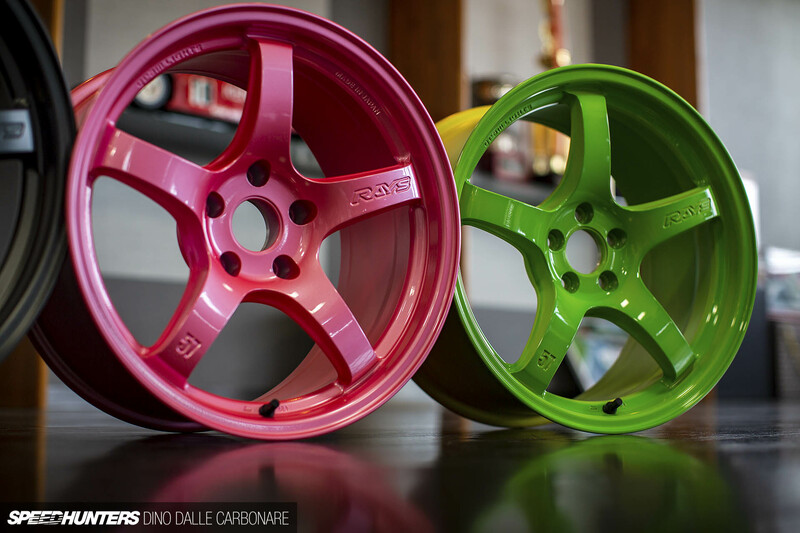 The perfect option if you can't justify a set of TE37's. I wish they'd done the '57' spoke decals when I had mine! 11:38 pmJanuary 26, 2019 phantom2468 . 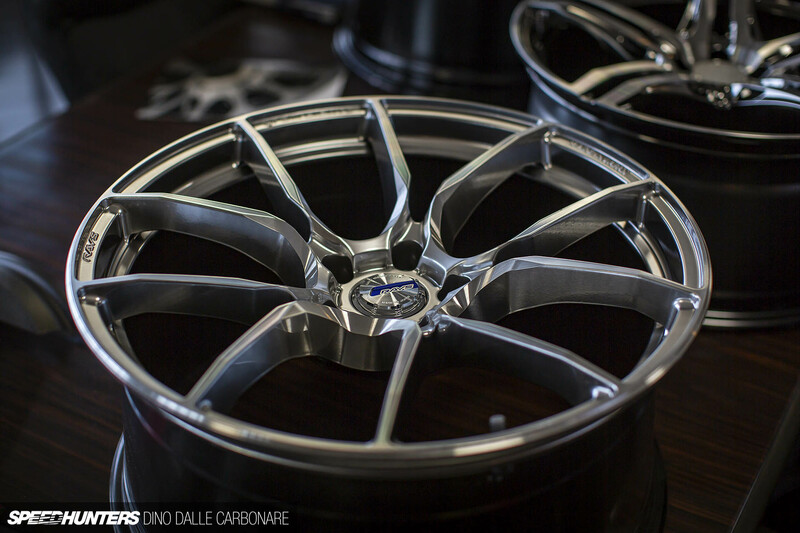 Beautiful wheels. 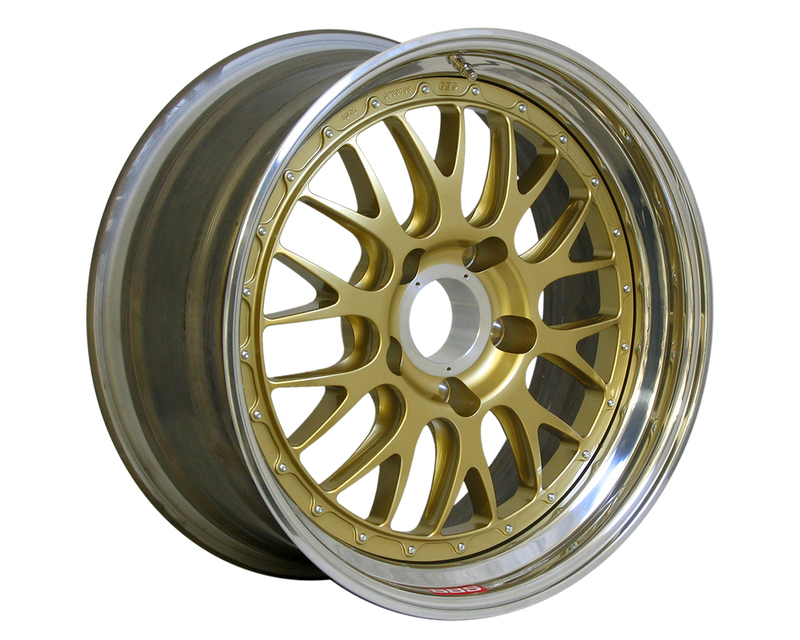 I am debating which wheels to put on my Evo 7 since I am still on stockers because of the Aomori winter. I like these wheels a lot. Really wish they made the 57CR in silver. 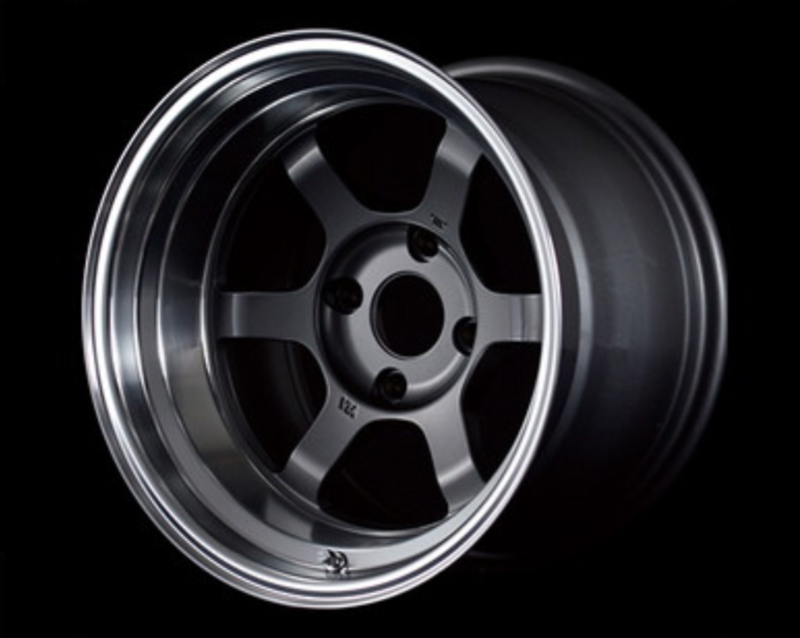 I unfortuantely have to buy a set and get it powdercoated in glossy silver now =/. Very glad they came out with this wheel though. Pretty much a cheaper Advan TC in my eyes. That overseas model would look great on my LX470 and it's available in 5x150! I’ve got some 2010 57 ultimate’s in blue/black on my dark grey 2010 Sti hatch and love them!